Universities must transmit technically exploitable knowledge. That is, they must meet an industrial society's need for qualified new generations and at the same time be concerned with the expanded reproduction of education itself. In addition, universities must not only transmit technically exploitable knowledge, but also produce it. This includes both information flowing from research into the channels of industrial utilization, armament, and social welfare, and advisory knowledge that enters into strategies of administration, government, and other decision-making powers, such as private enterprises. Thus, through instruction and research the university is immediately connected with functions of the economic process. 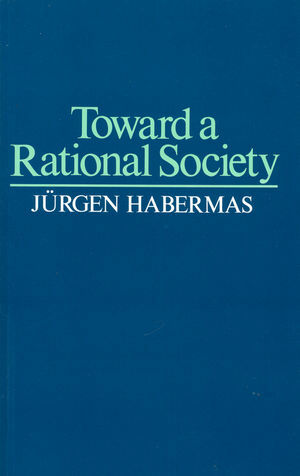 Jürgen Habermas is a German philosopher and sociologist in the tradition of critical theory and pragmatism. He is perhaps best known for his theories on communicative rationality and the public sphere. In 2014, Prospect readers chose Habermas as one of their favourites among the "world's leading thinkers". Jeremy J. Shapiro, is an American academic, a professor at Fielding Graduate University who works in the area of critical social theory with emphasis on the social and cultural effects of information technology and systems, social change, and the aesthetics of music.